WHAT IS THE Grill Next Door’s ORIGIN STORY? I’ve been cooking my whole life. I remember standing on a chair in front of the stove cooking my first solo family meal- without moms help. I created a stuffed burger, and they where great- especially for a 6 year old! I’ve been really interested in cooking technique and food science since- why and how we cook certain things in certain ways. Throughout my teenage years and my 20s, everyone I cooked for, urged me to cook for a living. But I grew up in the Capital, where the thing to do to be successful is go work for the Government. So I did- and the feeling of accomplishment I got from it quickly faded into a sense of – “What are you doing with your life? Is this it? Waiting for retirement?”. Shortly after I was diagnosed with a chronic illness, which worsened from stress, I decided I couldn’t throw my life away working in an office, being a drone. Growing up, I had spent summers at camp, and always yearned to get out of the city. My husband and I would travel to the mountains every year, and just dream of giving up the big city life to be mountain town dirt bags. Every year, it got harder to get back on that plane back east. Finally in 2016, I bought a shiny, new commercial kitchen on wheels to fulfill my dream of being a chef, and enabling us to travel. I had it custom built for my vision, and started it up for a season in Downtown Ottawa, during the Canada 150 summer celebrations in 2017 in a regular stationary location downtown, all summer. We did Montebello Rockfest that year, our first festival. Our trailer was practically brand new with no signage so we had the dirt baggiest hand drawn menu signs on this shiny new truck, that we drew the night before and laminated with tape- it was something else! That show gave us the festival bug. We didn't want to be in one place, we wanted to go where the fun was! At the end of the summer season, we decided it was time- we were moving to the mountains. House went up for sale, and we started our trek out to Kimberley. We are so happy we chose Kimberley, we no longer have the pull to leave town every day, we now just want to come home to Kimberley whenever we do leave! IF YOU COULD ONLY USE 5 WORDS TO DESCRIBE The Grill Next Door (AND FOR THE SAKE OF THIS QUESTION, LET'S ASSUME YOU CAN ONLY USE 5 WORDS) WHAT WOULD THOSE WORDS BE? Delicious, Local, Sustainable, Friendly and Fresh. ACTUALLY, ON 2ND THOUGHT, IT SEEMS A BIT UNFAIR TO ONLY GET 5 WORDS. SO HOW ABOUT THIS TIME YOU USE AS MANY WORDS AS YOU WANT? We arrived in the Koots in July of 2018- with all the licensing jazz, we where ready to go September last year. You may remember us from such events as PUBS fall Festival in CBK and the last 2 Kimberley Farmers' Markets of 2018! We are serious about using all local ingredients. Right now I’m getting my beef from Invermere (j2 Ranch), Potatoes from Wasa (Lantz Farms) buns from Kimberley (Kimberley City Bakery / Bread & Butter Kimberley), and will now also be making all our ketchup and Mayo dips in house this year. Since I’m really into food science, I create all my recipes based on Michelin Star techniques. I’ve been told many times I make “the best fries ever” and that’s because my process is not for the profit driven, or really anything that’s not a Michelin star restaurant. I really care about the quality of my food, and I pour my heart and soul into every recipe. And my heart and soul are delicious, muahahaha. I love real burgers, tacos and fries. 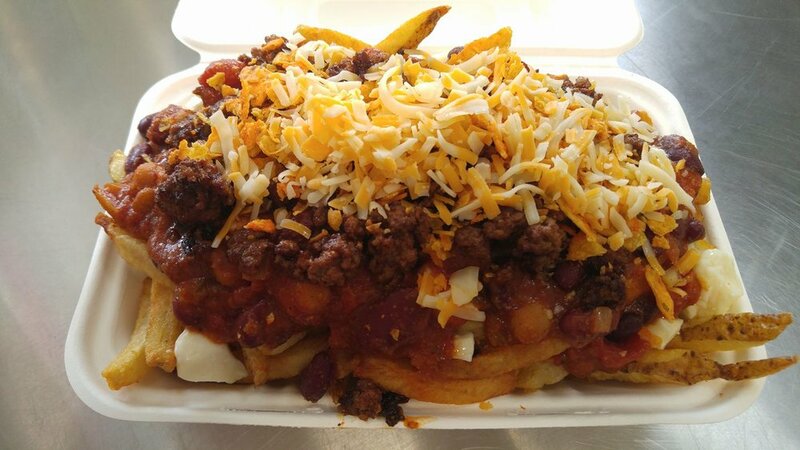 The great thing about our food, is that you can eat a Bacon Cheeseburger and a Poutine, and NOT feel terrible afterwards! Not just that you feel good from supporting local and eating real food with few ingredients. You know that feeling you get after eating burgers, fries and tacos at the fast food place? The lead gut and the McCramps? Well that’s from oxidized fats and proteins, from over processing, not just the fact that you ate fries. Did I mention I’m super into food science? There’s none of those bad vibes and regrets here. Only feel good, tasty food. We also care a lot about our planet. We only get backyard compostable food trays and utensils. Vegan and/or Gluten Free? Dietary restrictions and Allergies? That’s cool, you can eat here! Our deep fryers (filled with wonderful Sunflower oil) never see a speck of gluten, and our fries are just potatoes! We also do a Vegan burger. There's no peanuts in our kitchen, and we can tell you everything that's in every menu item- without reading from paragraphs of ingredients on packages (there are none!). Oh and we'll be serving it all up at Over Time every Wednesday this summer, from May to September! You'll also catch us at area events- we'll be at the Choice for ‘Shop til you Drop Cranbrook’ in May to kick off the year, Marysville Daze, July Fest, most Kimberley festivals and Events are just a few examples. Our schedule will be online once everything is confirmed. Actually, on 3rd thought… I believe a wise one once said "a picture is worth 1000 words" so how about you share 3-5 pictures (that's like 3000-5000 words) that you think best capture the essence of The Grill Next Door. FINALLY… WHAT IS YOUR FAVOURITE THING/S ABOUT RUNNING something like The Grill Next Door around Highway 95 eh? Living on Mountain Time of course! Mountain biking on our breaks on prep days, having the most amazing nature right outside our door, the smell of the pines. We love KAR in our Off-Season, being able to ride every Powder day and as much as our hearts desire is just incredible. The hill is such a great little gem with great vibes, and Kimberley is just amazing. The nature, the people, and the events, it’s just so smile inducing! Aside from all the smiling faces and happy people, eating the food, I really like the food! Our family eats it all summer. OMG I miss those burgers right now... If you’ll excuse me I have to go un-winterize our travellin’ kitchen, and make me some burgers! ALRIGHT, THAT'S ALL THE Q'S AND A'S FOR THIS Introductions Q&A. 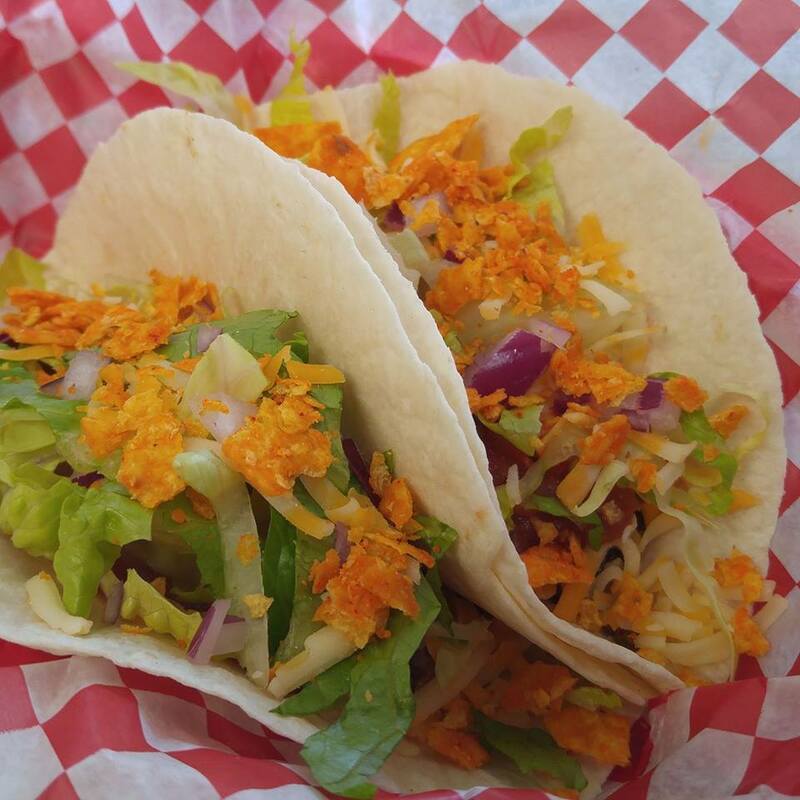 Make sure to follow The Grill Next Door on the FACEBOOK / INSTAGRAM / TWITTER… and most important of all: make sure you grab some goodness the next time you see that red trailer serving up a line of drooling humans this summer.